If all you want to do on Maui is go to the beach and sip mai tais, then this post is not for you. On the other hand if you are interested in exploring the beautiful variety that Maui offers, then you have to leave the beach and the comforts of your lounge chair and adventure into the expanse that is Haleakala. Most visitors to Maui know about early morning car trips to the summit to see the fabulous sunrises from the top of the world, but Haleakala has much, much more to offer. 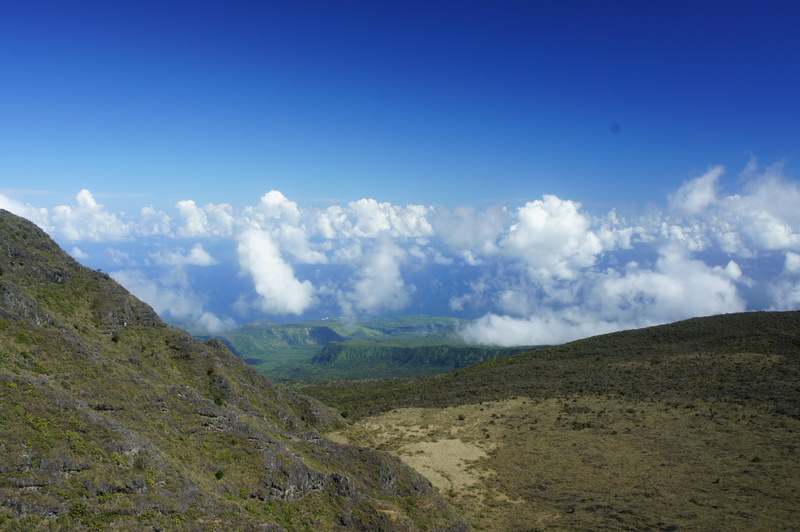 To really experience this unique mountain, you must hike into the crater (technically an “erosional valley”). You can day hike many of Haleakala’s trails or you can backpack into the back country staying in tents or one of three wilderness cabins. 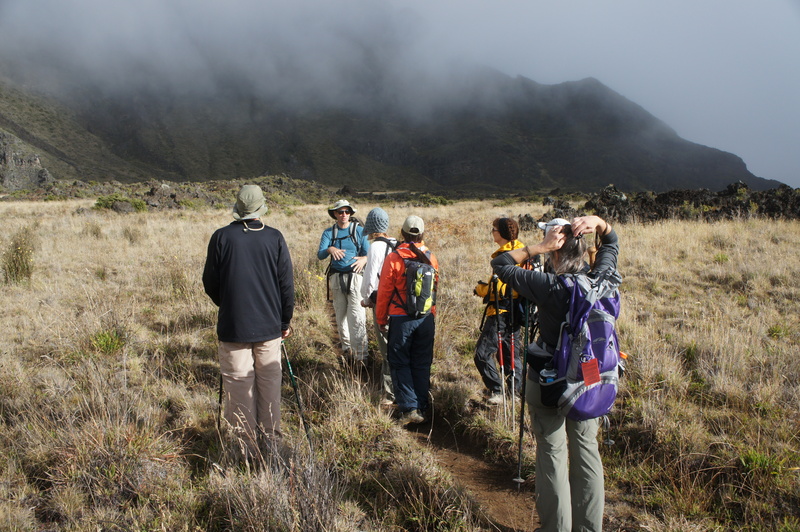 Backpacking into the Haleakala wilderness requires preparation and prior backcountry skills. You will experience extremes of temperature, weather, and rugged trails. But you will also experience incredible beauty and see things that you can only see on Haleakala, like the Silversword. The Silversword, found only on the slopes of Haleakala. 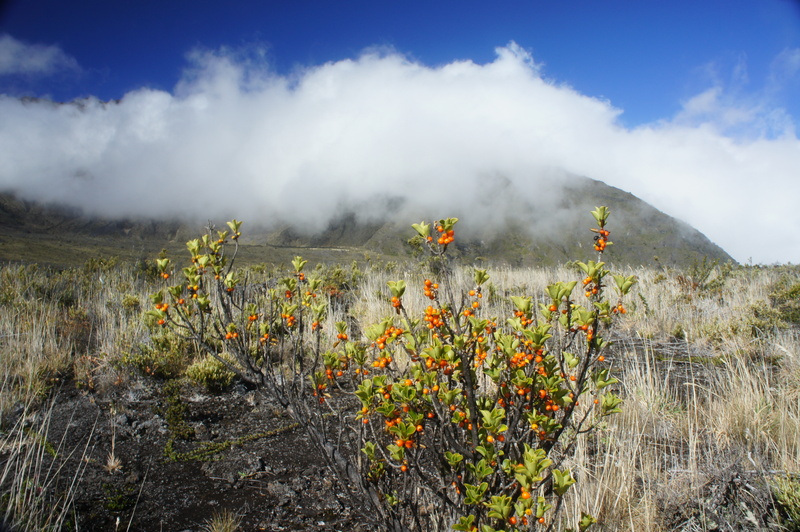 You can certainly plan your own trip into the Haleakala wilderness, but another very good option is to volunteer some of your time and go on a service trip with a great non-profit called the Friends of Haleakala National Park. Not only will you meet some great people (my recent trip had a combination of Maui locals who’ve been on Haleakala countless times as well as first timers from the mainland), but you’ll learn about the delicate ecosystem and other features of the wilderness from local experts, and spend some time helping preserve this unique place. Most service trips start on a Saturday and end on a Monday, so you get 2 nights in one of the wilderness cabins with the normal fee waived. The type of service performed will vary, ranging from cabin maintenance to native planting to invasive species removal. 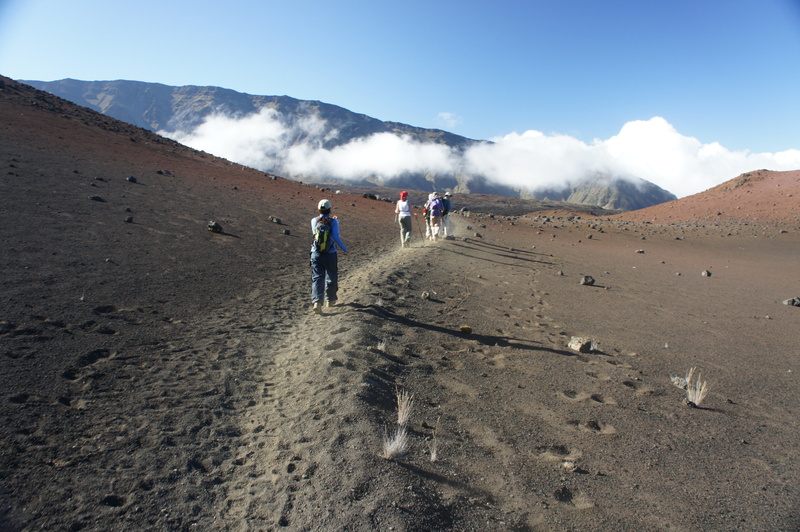 Participating in a service trip will typically allow you to see parts of the Haleakala wilderness not normally open to visitors, with travel on maintained, unmaintained, and service trails, as well as occasionally off-trail hiking to get to more isolated fields. If you aren’t able to commit anytime soon to a service trip, please consider making a donation to Friends of Haleakala to support the great work of this organization. Looking east to the ocean down the Ko’olau Gap from the Halemau’u trail. How does Santa make it to Maui? On a canoe, of course!